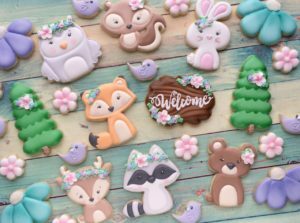 Madri's Cookie Kitchen | Hand-crafted, custom decorated sugar cookies for all occasions! Welcome to Madri’s Cookie Kitchen! Madri’s Cookie Kitchen was founded in 2011 by Madri Mahtani. Madri has been making cookies for friends and family for many years, and decided to share her creations with you. Madri will work with you to design the perfect decorated cookies for your event. Whether it be birthdays, weddings, parties, holidays, special events, showers, school events, or ANY OCCASION, think Madri’s Cookie Kitchen. We specialize in hand-crafted, custom decorated sugar cookies for all occasions! We do not currently have a store-front, but we will take your orders online or by phone. We are located in Grand Rapids, Michigan and can arrange for pickup or local delivery (delivery costs vary by location). Contact Madri today to place your order, or if you have any questions!